Regan Smith picked up the 1st last-place finish of his Monster Energy NASCAR Cup Series career in Sunday’s Ford EcoBoost 400 at the Homestead-Miami Speedway when his #95 Dumont Jets Chevrolet finished under power with 240 of 267 laps complete. The finish came in Smith’s 224th series start. In the Cup Series last-place rankings, it was the 16th for car #95, the 36th where the driver finished under power, and the 756th for Chevrolet. Across NASCAR’s top three series, it was the 25th for the #95, the 46th time the car was still running, and the 1,640th for Chevrolet. While this is Regan Smith’s first LASTCAR article, he is no stranger to longtime readers. “Sleek and Swift, it’s Regan Smith” was the nickname adopted in my old starting grid videos when the driver from Cato, New York went full-time Cup racing in 2008. It was the culmination of a career that saw him climb the ranks across NASCAR’s top three ranks since 2002, when he made his Truck Series debut for Mike Mittler at South Boston. A full-time ride for Ed Rensi’s XFINITY team followed in 2006, followed by another for Bobby Ginn, which opened the door for his Cup debut at Bristol, sharing Mark Martin and Aric Almirola’s ride in the #01 U.S. Army Chevrolet. But there was no shortage of challenges. Bobby Ginn abruptly left the sport midway through the 2007 season, and it was only a merger with Dale Earnhardt, Inc. that allowed the #01 to run at all in 2008. But the team still struggled for sponsorship, acquiring limited backing from the Principal Financial Group. All that seemed like it was going away at Talladega in November, when he was flagged the winner following a last-lap pass in the Amp Energy 500. But a yellow-line rule infraction dropped him to 18th in the final running order. Shortly after, DEI, along with several full-time Cup teams, were swept away by the recession. It’s perhaps poetic that the race which would mark Smith’s first Cup Series last-place finish would also be the final one for Furniture Row Racing. It was Barney Visser’s single-car team that hired Smith to drive in 2009. At the time, the young team had just struggled to run their first full season with Joe Nemechek driving, and a rash of crashes secured them the 2008 LASTCAR Cup Series title. With Smith behind the wheel, Furniture Row debuted a new flat black paint scheme and would run a limited season – just 18 of the 36 races. A 12th at Daytona was their best run of the year. The pair went full-time again in 2010, then in 2011 came a breakthrough – a thrilling first victory for both driver and team in the Southern 500 at Darlington. Late in the 2012 season, Smith and Furniture Row Racing went their separate ways. First Kurt Busch, then Martin Truex, Jr. would take the controls of the #78, ultimately steering them to the 2017 Cup Series Championship. Smith ended up in the XFINITY Series, where he won the 2012 finale at Homestead for JR Motorsports. Over the next three seasons, he’d finish no worse than 4th in points, picking up another five wins. He’d also become a familiar face at FOX Sports, both as a broadcaster and a pit reporter. Other than a part-time ride with Phoenix Racing and a single season with Tommy Baldwin Racing, however, Smith’s Cup exposure has been as a relief driver. Right after his release from Furniture Row in 2012, he relieved Dale Earnhardt, Jr. following his concussion in a testing crash at Kansas. Two years later, he stepped in for Tony Stewart following his terrible leg injuries in a sprint car accident prior to Watkins Glen. He relieved Kurt Busch during an alleged domestic violence investigation in 2015, then for Kyle Larson after he fainted at Martinsville, and for Aric Almirola following his back injury at Kansas just last year. This past September, he’d fill this role again, this time for Kasey Kahne. Kahne started this year looking to make a fresh start with Leavine Family Racing. However, other than a near-win in the crash-marred July race at Daytona, the veteran from Washington struggled to regain his competitiveness. He then announced on August 16 that he’d retire from full-time competition at the end of the year. Just a few weeks later in the Southern 500, Kahne was reportedly suffering from such extreme heat exhaustion that he couldn’t slow his heart rate enough to drink water. As Kahne recovered, at one point visiting his friend Ed Carpenter at Sonoma, he planned to return to the driver’s seat at Dover. Smith took over at Indianapolis, where he finished 20th. Dover came and went, and on October 9, following a test at Charlotte, Kahne announced the Darlington race had been his last. Smith would close out the year, a “Thanks Kasey” message on the TV panel. Following Kahne’s announcement, Smith finished 10th at Talladega, his first top-ten finish since a 3rd in the fog-shortened Pocono race in 2016. In the four races leading into Homestead, he’d run no better than a 22nd, just last week at the ISM Raceway. Smith’s sponsor for Homestead was Dumont Jets, which had unknowingly backed some well-timed throwback schemes celebrating Kahne’s career at both his final All-Star Race and his final start in Darlington. This particular paint scheme wasn’t one such throwback, but a standalone scheme the team had run at Kahne’s planned return race in Dover. Smith ran 28th in the opening practice and qualified 30th with a speed of 169.715mph (31.818 seconds). He then jumped to 21st in the second practice session and was 28th once more in Happy Hour. Smith would also have someone riding with him on Sunday. Bill Mares tweeted that his daughter Allison thought Smith could use a good-luck charm, so she gave the driver a Winnie the Pooh doll. The doll was strapped to the roll cage near the rear of the car. Starting 40th and last on Sunday was Ross Chastain. The day before, Chastain made his final XFINITY Series start for Johnny Davis’ JD Motorsports team, one week after announcing his full-time effort with Chip Ganassi Racing for 2019. Chastain finished 16th in Davis’ #4 Florida Watermelon Association Chevrolet. Due to a lack of pre-race penalties, no drivers would join him at the back of the field prior to the start. As it turned out, neither would Smith. During the pace laps, Smith was black-flagged for leaking oil around the track. Smith pulled down pit road as the start was delayed to spread a layer of stay-dri around the track. Unhappy with the situation, NASCAR officials called crew chief Jon Leonard to the hauler after the race. The Leavine Family crew looked under the right side of the car, then put the #95 on jackstands. Ultimately, they pushed the Chevrolet behind the wall, meaning they would have to miss the start. Much like Jimmie Johnson at Dover earlier this fall, a strange mechanical issue would cause Smith to miss the start. And, like Johnson, he would eventually rejoin the race. Smith was rolling again on Lap 25, and by the time he was up to speed, was 26 laps back. Smith’s setback proved critical in the 2018 LASTCAR Cup Series Championship. Following Timmy Hill’s last-place run last Sunday at the ISM Raceway, Hill was in position to beat Corey LaJoie for the title, but only if his #66 Rewards.com Toyota finished last. Hill was shaken out of line early in the event, passed by Chastain through Turns 3 and 4 to drop him to 38th. The Motorsports Business Management team was also employing their in-house engine problem which gave the team so many problems in the first race they ran it, their last-place showing in Kansas. Hill had been warned to maintain minimum speed as he fell laps down to the leaders, but was still well ahead of Smith in that regard. LaJoie, running around the 33rd spot at the time, was still set to claim the title. In the end, very little changed at the back of the pack as only debris cautions slowed the night’s action. Smith took the wave-around at each yellow, forcing him to make green-flag stops when the next caution didn’t come out. Though he would lose just one more lap and closed within 14 laps of both Hill and Tanner Berryhill, once again driving Victor Obaika’s #97 Brand South Africa Toyota, Smith would advance no further. On the final restart with 15 laps to go, Smith secured the last-place finish, handing the 2018 LASTCAR Cup Series Championship to LaJoie, who finished 34th. Berryhill and Hill finished 38th and 37th respectively, followed by another pair two laps ahead of them. In 36th was Kyle Weatherman in the neon-hued #99 International Marine / Native Boatworks Chevorlet. The 35th spot fell to B.J. McLeod in Rick Ware Racing’s #51 Jacob Companies Ford. The NASCAR Cup Series Championship fell to Joey Logano, the first of his career. The 2018 season also marked a last-place finish at Watkins Glen, his first in a Cup points race since the 2009 Daytona 500. 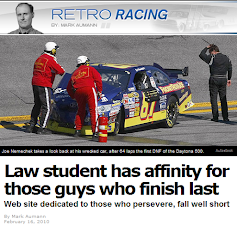 Logano’s run that day – and his crash in the Budweiser Shootout the previous week – were the first LASTCAR articles posted on this site. *While Smith never finished last in Cup prior to Sunday, he did have one last-place finish in NASCAR’s top three series – October 20, 2007, when he was involved in a crash driving Bobby Ginn’s #47 Ginn Resorts Chevrolet in the Kroger 200 at Martinsville. 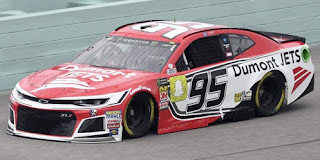 *This marked the first Cup Series last-place finish for car #95 since March 9, 2014, when Michael McDowell’s turn in Leavine Family Racing’s #95 WRL General Contractors Ford completed 141 laps before engine trouble in the Kobalt 400 at Las Vegas. The number had never before trailed a Cup race at Homestead. *Smith joins Aric Almirola (2016) as the only two Cup Series last-place finishers to finish a race at Homestead while still under power. *Smith is the sixth first-time Cup Series last-placer in 2018, but the first since July 29, 2018, when B.J. McLeod trailed at Pocono, 15 races ago. 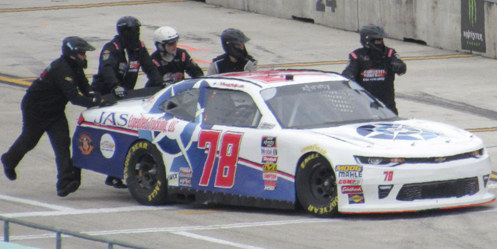 Vinnie Miller picked up the 1st last-place finish of his NASCAR XFINITY Series career in Saturday’s Ford EcoBoost 300 at the Homestead-Miami Speedway when his #78 JAS Expedited Trucking Chevrolet fell out with clutch problems after 10 of 200 laps. The finish came in Miller’s 34th series start. In the XFINITY Series last-place rankings, it was the 5th for car #78, the 8th for clutch issues, and the 519th for Chevrolet. Across NASCAR’s top three series, it was the 33rd for the #78, the 64th from clutch issues, and the 1,639th for Chevrolet. The 2018 season marked Miller’s first full season in NASCAR XFINITY Series competition. Miller began racing quarter midgets in his native Michigan when he was five, competed in Pure Stocks when he was thirteen, and was crowned 2012’s Rookie of the Year in the Sportsman division. He then jumped to Super Late Model competition in 2014, and in 2016 took his first checkered flat at the Franklin County Speedway. His next move was to stock cars, making a combined thirteen starts in 2017 between the K&N Pro Series East and ARCA Racing Series. His best finish between the two was at South Boston in K&N, where he followed Harrison Burton and Todd Gilliland to a 3rd-place finish. He also made it to NASCAR that year, finishing 29th in his XFINITY Series debut at Chicagoland, then 7th for Jeff Bolen in the Truck Series round at Talladega. Miller began this season with Johnny Davis, whose JD Motorsports team gave him his first XFINITY start. He took over the team’s #01 Chevrolet which, for much of last year, was driven by Harrison Rhodes. Miller again ran well at Talladega, finishing 17th in his first XFINITY race there, and matched that run with another 17th at Indianapolis. But with just four runs of 20th or better and seven DNFs, Miller and JD parted ways after Richmond in September. From the Roval onward, Miller has driven for B.J. McLeod in the #78 Chevrolet. His best run in that span was a 22nd at Kansas. 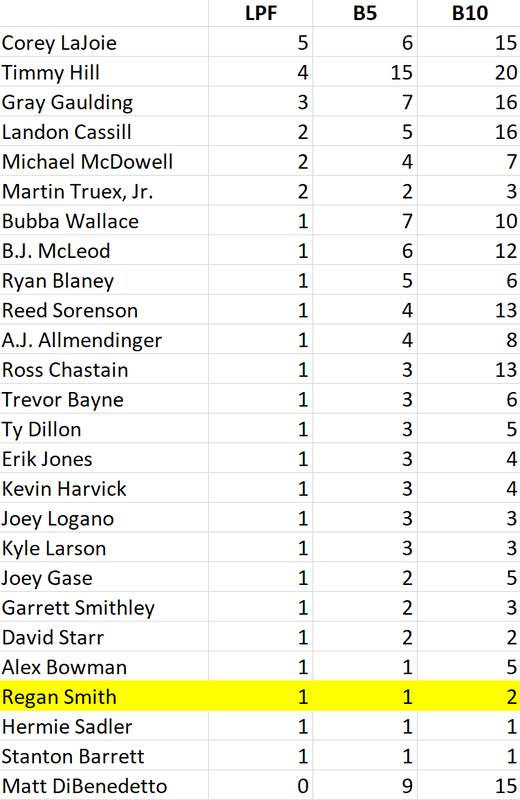 At Homestead, Miller was one of 45 drivers entered for 40 spots, meaning that five drivers would miss the show. He began the weekend 38th on the speed charts for the opening practice, didn’t turn a lap in Happy Hour, and relied on Owner Points to secure the 36th spot on the grid following his lap of 153.956mph (35.075 seconds). 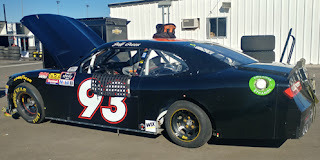 Stephen Leicht, one of Miller’s teammates at the McLeod team in the #99 Chevrolet, was second-fastest of those who missed the cut. Fastest of the four drivers who joined Leicht on the early ride home was Josh Williams, driving DGM Racing’s second car, the #92 Sleep Well / StarTron Chevrolet. Both JP Motorsports cars also missed the race – Josh Bilicki in the #45 Prevagen Toyota and Bayley Currey in the #55 Rollin Smoke Barbecue / Touched by Pros Toyota. Tim Viens was denied his first XFINITY start since 2015 when he couldn’t get Mike Harmon’s #74 811fitness.com Chevrolet up to speed. Morgan Shepherd missed the race, too, but his car didn’t. After JD Motorsports again prepared Shepherd’s #89 Visone RV Chevrolet, the veteran put Cup regular Landon Cassill behind the wheel. Cassill impressed in Round 1, securing the 24th best starting spot, then settling on the spot in Round 2. It was the best qualifying run for Shepherd’s #89 since April 30, 2016, when he qualified 23rd at Talladega. Prior to the start of Saturday’s race, just one driver fell to the rear – Carl Long. Long swapped himself into the team’s “Zombie Dodge,” the last Dodge Challenger still running on the XFINITY Series circuit. Due to NASCAR’s current regulations with composite bodies, the Dodge would no longer be an eligible model for the XFINITY Series in 2019, making Homestead its final start. To make sure the car made this final race, he and Chad Finchum swapped car numbers, putting the #40 on the Dodge in place of last week’s #13. Long relied on those Owner Points to start 38th. His car carried a “thank you” message to Dodge on the hood and a “For Sale” sign on the sides. Unapproved adjustments dropped him to 40th for the start. The McLeod crew pushes Miller's car behind the wall. Long started the race with an unscheduled pit stop for a flat tire on Lap 3, then was called in to serve a pass-through penalty on Lap 10 for speeding down pit road. He returned to competition in the 40th spot, a full seven laps down to the leaders. At the same time, Miller was beginning to have clutch problems on the #78. He was seen on camera returning to the track on Lap 12 from his own unscheduled pit stop, at which point he was four laps behind. Soon, after he returned to pit road, then was pushed behind the wall. Miller took last from Long on Lap 16, but wouldn’t officially claim it until much later. On Lap 36, the McLeod crew was still talking about going back out. By then, Miller was just four laps behind 39th-place Jeff Green, the seven-time LASTCAR XFINITY Series Champion, in just the second start of the year for RSS Racing’s #37 Chevrolet. All three RSS Racing drivers had swapped rides to allow for a returning Angela Ruch, who drove the flagship #39. Green got the #37 into the show with the Past Champion’s Provisional, securing the last spot on the grid. Ruch was flagged twice for not meeting minimum speed, but managed to just climb past Green before she was parked. 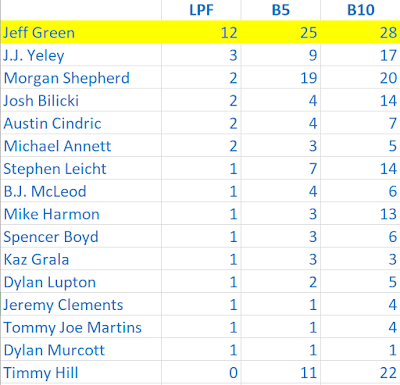 Green, Ruch, and J.J. Yeley’s RSS cars would take up three of the Bottom Five positions. The 38th spot would go to Landon Cassill, who was still running 27th in Shepherd’s #89 on Lap 15 before he pulled into the garage. Miller remained in 40th – officially classified “off” the track rather than “out” – for more than half of the race. The McLeod crew had worked just as hard the previous week at the ISM Raceway, attending to an ignition issue on Lap 113. Seven laps later, Miller re-fired the engine in the closing laps, burning out of his pit stall on Lap 123 and returning to the track to finish 36th. But at Homestead, there would be no return. On Lap 111, the crew said the car’s “all torn apart” and likely wouldn’t make it back out on the track. It was an unfortunate turn of events, as five retired drivers were within 50 laps of the #78. On Lap 120, the #78 crew confirmed they were out of the race. Carl Long made it to the finish in the “Zombie Dodge,” overcoming a minimum speed penalty on Lap 16 to finish 33rd. Long posted on Facebook that, after several offers from collectors and vintage racers, he plans to restore the Dodge and sell it at auction. Long’s team, Motorsports Business Management, looks to compete in both Cup and XFINITY next year with an increased commitment to running Toyotas. The NASCAR XFINITY Series Championship went to Tyler Reddick, who doesn’t have a single last-place finish in 114 combined XFINITY and Truck Series starts. For more on Vinnie Miller, check out his website here. *This marked the first last-place finish for car #78 in an XFINITY Series race since this past August 4 at Watkins Glen, when Tommy Joe Martins was eliminated in a single-car crash after 3 laps of the Zippo 200. The number had never before trailed an XFINITY Series race at Homestead. *Miller is the first first-time last-placer in the XFINITY Homestead finale since November 17, 2012, when Dexter Stacey had engine issues on the opening lap. Curiously, Stacey was the final driver to finish 43rd before the fields were reduced to 40 starters. 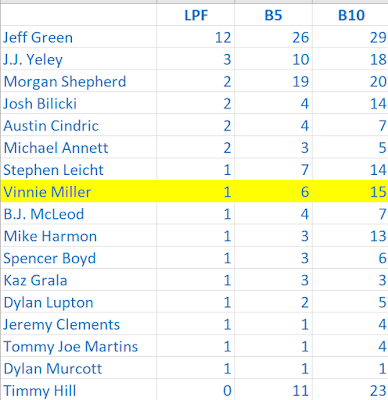 Miller was the last to run 40th due to next year's second reduction to 38. *This race marked the first time since May 5, 2012 that an XFINITY Series last-place finisher fell out due to clutch trouble. That day saw Kevin Lepage, then driving for Jimmy Means Racing, fall out after just one lap at Talladega. 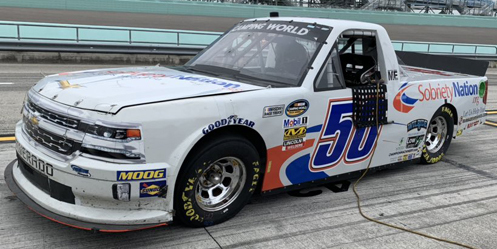 Camden Murphy picked up the 2nd last-place finish of his NASCAR Camping World Truck Series career in Friday’s Ford EcoBoost 200 at the Homestead-Miami Speedway when his #50 SobrietyNation Chevrolet fell out with a vibration after 11 of 134 laps. The finish, which occurred in Murphy’s 20th series start, was his first of the season and his first since June 2, 2017 at Dover, 40 races ago. In the Truck Series last-place rankings, it was the 11th for truck #50, the 32nd for a vibration, and the 365th for Chevrolet. Across NASCAR’s top three series, it was the 50th for the #50, the 210th from a vibration, and the 1,638th for Chevrolet. Neither Murphy nor the Beaver Motorsports #50 team were slated to race in Friday’s season finale. Mark Beaver’s #50 Chevrolet last ran at Mosport in August and was then entered at Vegas, where they withdrew. In the time since, Beaver joined Mike Harmon in helping field the #15 Chevrolet, one of two trucks Premium Motorsports fielded alongside the #49. Like Beaver, Harmon had also scaled-back his Truck Series effort since his #74 last took the green at Mosport and then withdrew in Vegas. Around this time came news that Premium will close their four-year-old Truck Series effort at the end of 2018, leaving open a possibility that Beaver or Harmon could acquire the team’s assets for next season. The cooperation between Beaver, Harmon, and Premium Motorsports appeared to take its next step last Wednesday, when the Beaver Motorsports #50 was entered with Mike Harmon driving. 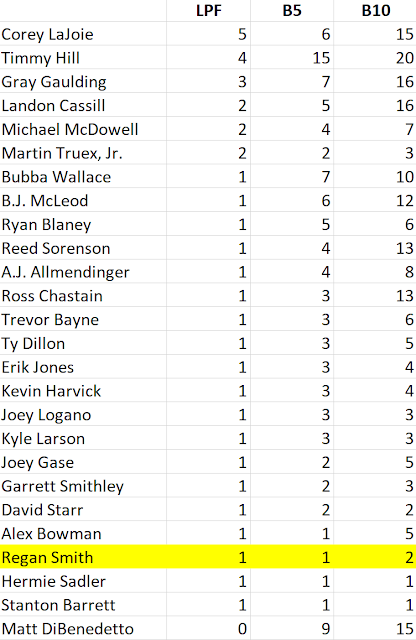 This grew the field from 31 entries to a full 32, averting the first short field in the series since Talladega last year (a 33rd entry, Niece Motorsports’ #38, would be added later with Ross Chastain as driver). This truck was essentially a third truck from Premium Motorsports’ shop, carrying the same white paint scheme, SobrietyNation sponsorship, and Premium team logo on the nose as the #49 Chevrolet. The only difference was Beaver’s #50 on the doors and roof. 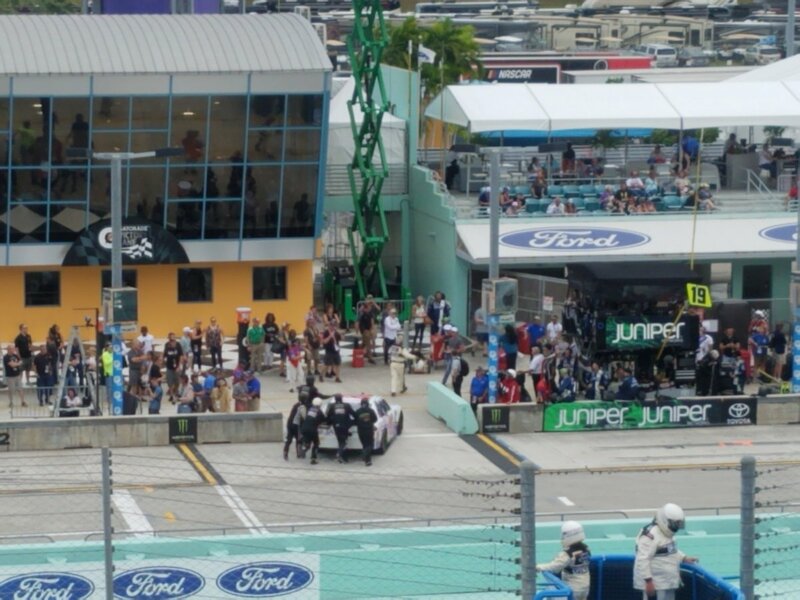 As the teams arrived in Homestead, Camden Murphy was there, but not as a driver. 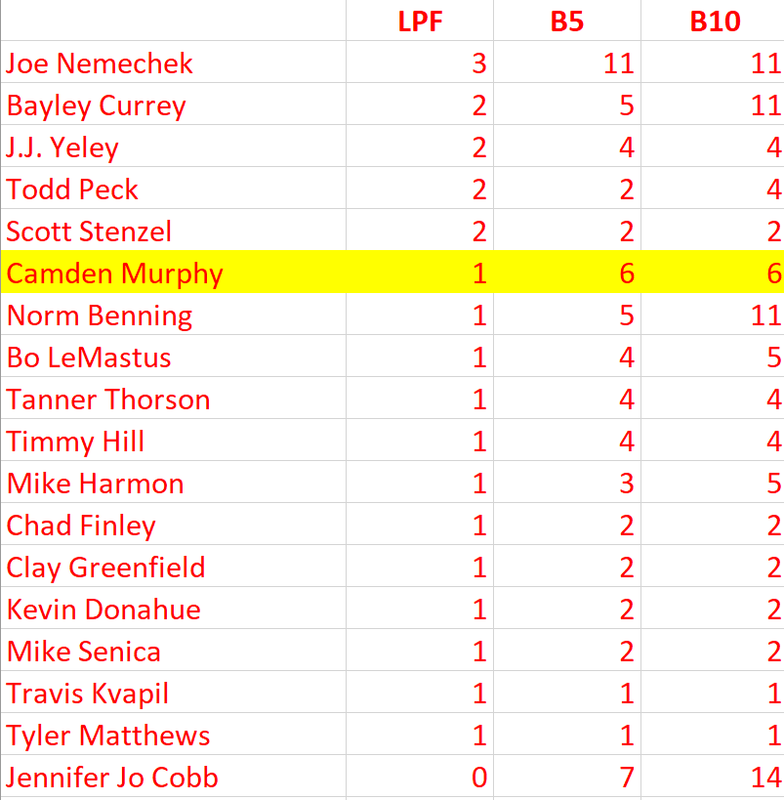 Since his most recent Truck Series start at Pocono, Murphy had been entered at Bristol, Las Vegas, and Texas as driver of Jennifer Jo Cobb’s second Chevrolet, the #0, but was withdrawn each time. He’d since become the car chief for D.J. Copp’s #83 Chevrolet, which a week earlier at the ISM Raceway saw Dawson Cram finish a career-best 16th. 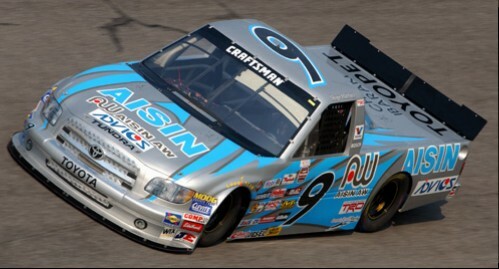 Cram’s previous best was a 17th at Martinsville in the spring, when he too drove for Beaver Motorsports. Last Wednesday, Copp intrigued many on Twitter when he posted a picture of Jeremy Mayfield standing next to the #83 in shop. Reports later came in that Mayfield’s status with NASCAR had not changed since his 2009 suspension since he had not completed the sport’s “Road to Recovery” program. Instead, Todd Peck would drive Copp’s truck at Homestead with Pulse Transport as sponsor. The result was disastrous – Peck wrecked on his warm-up lap in opening practice, forcing Copp’s team to withdraw. Thus, the remaining 32 entries would be guaranteed starting spots in the race. On Friday night, no drivers were sent to the back for pre-race penalties. Murphy remained at the back of the field, 4.591 seconds back at the green, then 7.262 back after Lap 1. Slipping to the rear was Joe Nemechek, who secured the 2018 LASTCAR Truck Series title last week in Phoenix, his #87 Fleetwing / D.A.B. Constructors Chevrolet dropping back from 20th on the grid to 30th on the track. 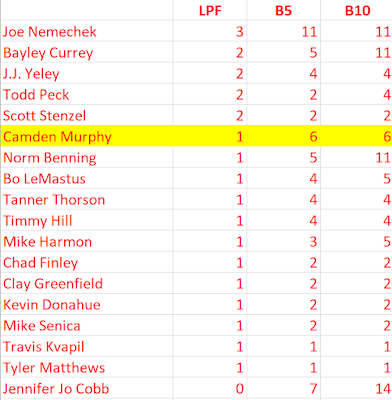 On Lap 6, Murphy caught and passed Wilson’s #15 to take the 31st spot, and put 1.316 seconds on Wilson by the end of the seventh circuit. But Murphy’s truck was overheating, and he pulled onto pit road, then behind the wall with the truck spraying water. The team thanked Murphy for his help over the radio, mentioning that he was reeling in other drivers after he passed Wilson. Nemechek pulled off the track nine laps later, securing the 31st spot. Wilson lost the engine after 80 circuits, leaving him 30th. The only other DNF of the night was Tanner Thorson, who lost the engine on Young’s Motorsports’ #20 Go Share Chevrolet after 120 circuits. Rounding out the group was Jennifer Jo Cobb, who finished six laps down to the leader in her #10 Driven2Honor.org Chevrolet. The race win and the championship went to underfunded Hattori Racing Enterprises and driver Brett Moffitt. The 2015 Cup Series Rookie of the Year landed the ride for the 2018 season, and scored his first of six victories this year in the second round of the season at Atlanta. With a small crew and a few loyal sponsors from overseas, Moffitt wasn’t sure if he was going to run the full season. But he developed a penchant for thrilling last-minute victories, capped by a late charge in the final three laps at the ISM Raceway that locked him into the Championship Four. And now former IndyCar driver Shigeaki Hattori, who finished last in one of his ten Truck Series starts as a driver in 2005, has his first championship as an owner. 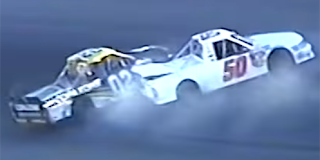 *This marked the first last-place finish for truck #50 since June 8, 2018, when Todd Peck’s run for Beaver Motorsports ended after 1 lap at Texas. *The #50 had trailed a Truck Series race at Homestead just once before – November 19, 2004, when Jon Wood’s #50 roushracing.com Ford tangled with Kelly Sutton on Lap 2 of the Ford 200. Wood actually made it to pit road while Sutton did not, but without the “Crash Clock” in place, Sutton returned to the race and completed 19 more laps, moving up two spots to 34th. 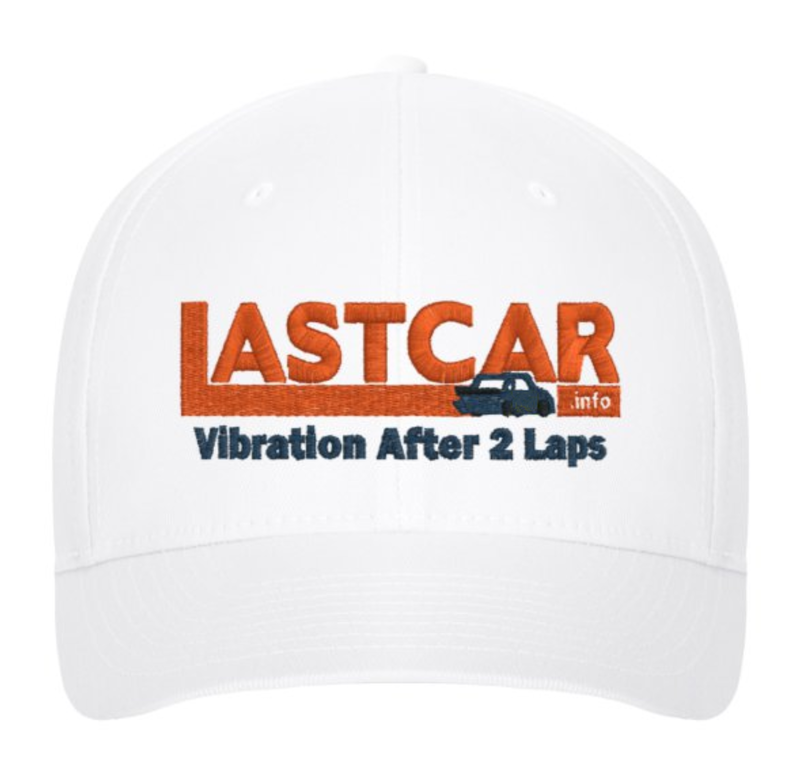 New LASTCAR.info Merchandise Now Available! 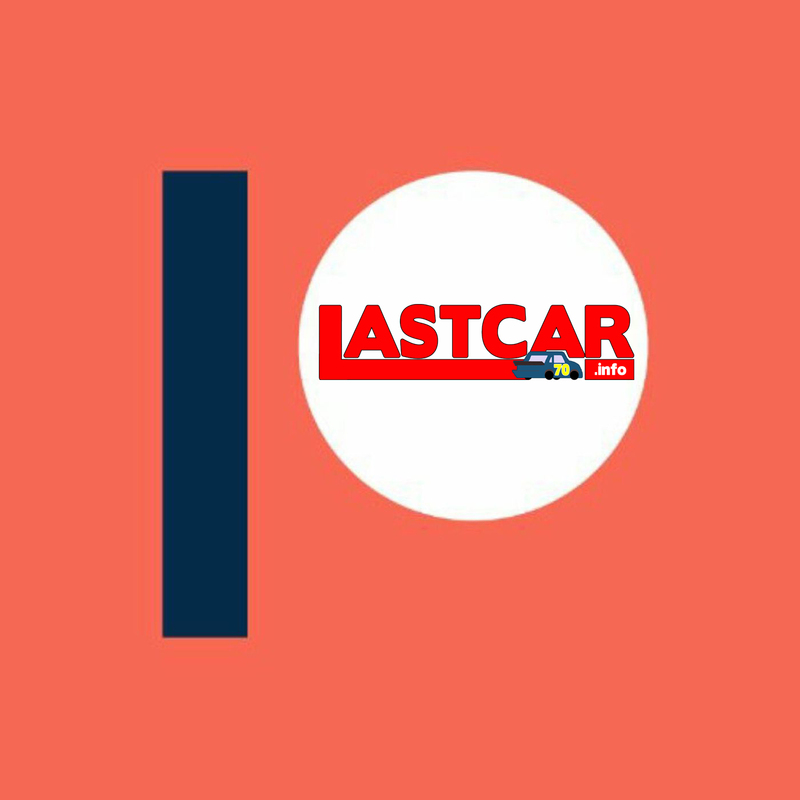 UPDATE: The new LASTCAR.info Store can be found at this link. 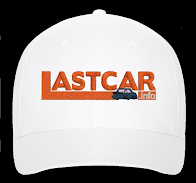 I am pleased to announce the release of new “official” LASTCAR.info merchandise! 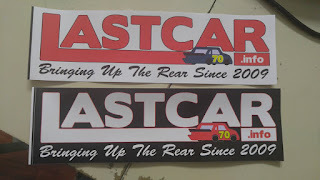 Second, LASTCAR.info bumper stickers are also available in two colors - red text on white - like the one on my computer - or white text on black - like on my daily driver. Both versions are available for $5 each or three for $10, which includes shipping to anywhere in the U.S. (Bumper sticker orders are processed through BuildASign). 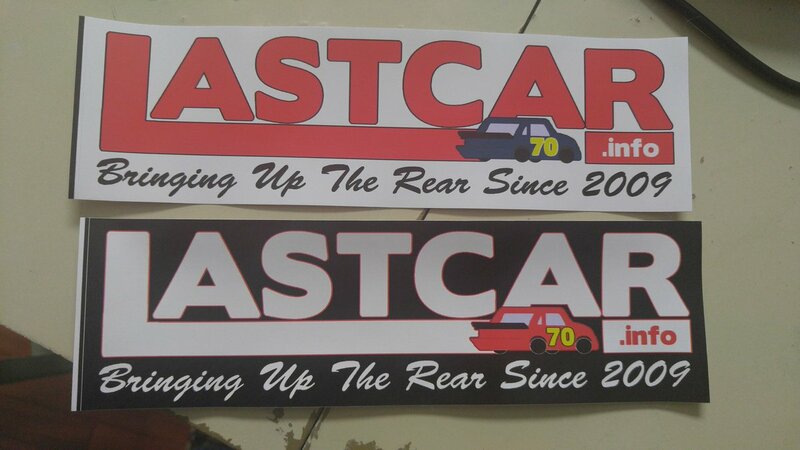 To order your caps and bumper stickers, you can complete payment by PayPal at my PayPal.me link: https://www.paypal.me/BrockBeard. Be sure to include in your message which items you want. You can also e-mail me at brockbeard@gmail.com. 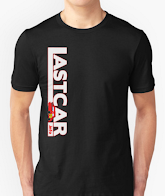 These new items are in addition to our existing store on RedBubble, featuring t-shirts with the LASTCAR.info logo. 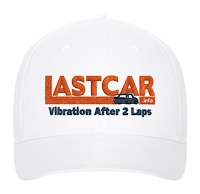 All profits (with the exception of those for #LAST100 gear, which goes to RSS Racing) will go to keeping LASTCAR.info going, and help us cover more races in 2019 and beyond. Have a Merry Christmas and a happy holiday season, and we’ll see you again for our tenth anniversary season next February! In February 2015, Bixby, Oklahoma driver Tanner Berryhill was entering his fourth season in the NASCAR XFINITY Series. His father Adrian founded Berryhill Estates, a company specializing in building custom luxury homes. Adrian formed Vision Racing, which by 2012 made the jump from ARCA to the XFINITY Series, and Tanner earned his NASCAR license to drive their #17 Dodges and Toyotas. National Cash Lenders backed most of the younger Berryhill’s starts along with companies like BWP Bats and Excel Therapy. Matt DiBenedetto became Berryhill’s teammate in a “start-and-park” #37, ultimately leading to a full-time effort for the #17 in 2014. That year, Berryhill earned a season-best 17th at Mid-Ohio, and ranked 22nd in driver points. But in SpeedWeeks 2015, disaster struck during the controversial group qualifying session at Daytona. As time expired in Round 1, Berryhill was trailing a pack of nine cars entering the tri-oval. A slowing Carlos Contreras forced Daniel Suarez to move to the middle line, where he crossed the nose of Blake Koch’s Toyota, triggering a crash. Berryhill slowed and managed to pull to the high lane, avoiding two cars, but not a third. The contact damaged Vision Racing’s only car at the track, and ultimately forced the team to suspend operations. Berryhill made a pair of runs at Cup with Premium Motorsports, failing to qualify at Phoenix and running 22nd in the Sprint Showdown, before he returned to late model racing. Nevertheless, by SpeedWeeks 2015, Obaika Racing had a #97 Chevrolet ready in their Mooresville shop and signed current Truck Series owner-driver Josh Reaume to drive. Despite a complete lack of Owner Points on a list of 48 entrants for just 40 spots, Reaume advanced through the crash-marred Round 1 of qualifying and settled on the 24th starting spot for the Alert Today Florida 300. Reaume steered his machine to a 23rd-place finish, worth a much-needed $50,590. The team ended up qualifying for all but one race that season – Las Vegas – and Peyton Sellers gave Obaika a season-best run of 16th in their July return to Daytona. It wasn’t long ago that start-up teams like Obaika Racing were common in NASCAR. Entrepreneurs looking to give team ownership a try, bringing in new drivers, sponsors, and sometimes car manufacturers into the sport. Such was the case for Team Red Bull, the two-car operation Dietrich Mateschitz built from the ground up in 2007. The team’s brand-new Toyotas, sponsored almost entirely by the Austrian energy drink, brought open-wheel champion A.J. Allmendinger to NASCAR. After five seasons and a pair of wins, one each with Brian Vickers and Kasey Kahne, Red Bull and Mateschitz left at the end of the 2011 season. The team’s assets were then acquired by Burger King franchisee Ron Devine and his partners, who reincorporated the two-car effort as BK Racing. Though BK never visited victory lane and scored just three top-ten finishes in 520 combined starts over seven seasons, Devine helped launch the careers of several drivers still active full-time in the Cup Series, including Landon Cassill, Alex Bowman, and former Vision Racing driver Matt DiBenedetto. in the final stages of becoming the Obaika #97. When BK Racing arrived in Florida for this year’s Daytona 500, the car was flat white, the only entered machine without primary sponsorship. Gray Gaulding wasn’t even named the driver until later in the week. Persistent rumors of the team’s insolvency continued as the team had scaled back from three cars to two Chartered entries to just the one. Earthwater sponsored the car for what was reportedly little more than a barter arrangement for free product. Gaulding remained positive of the team’s prospects, but by May, the car was again without primary sponsorship. Obaika watched the BK Racing saga with keen interest. His own XFINITY team had all but disappeared from NASCAR after they withdrew from the spring Bristol race in 2017. He had put Vroom! Brands on the back burner to try and stabilize his team. He understood what BK Racing was going through. 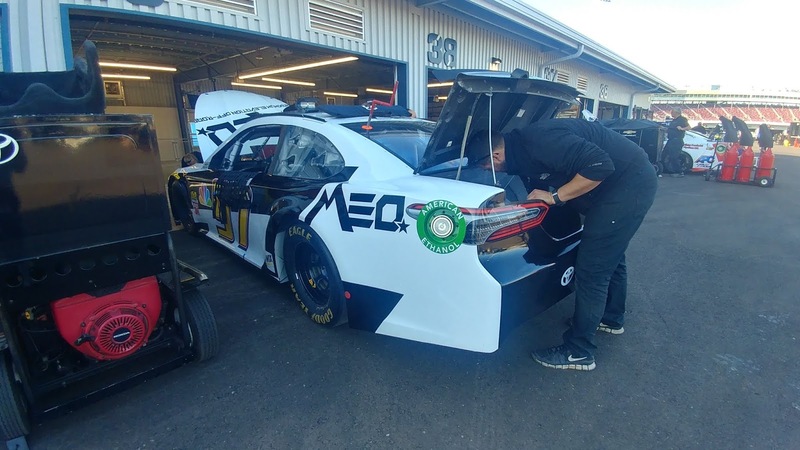 The August 2018 auction of BK Racing also presented an opportunity for Obaika Racing – a chance to reinvigorate his team by moving to the Monster Energy Cup Series. J.J. Yeley's backup loaded on the Obaika hauler on Sunday. 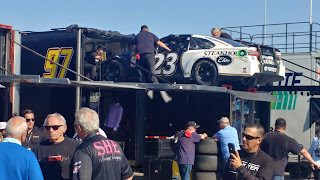 While Front Row Motorsports (FRM) acquired BK Racing’s Charter and most of its assets, fending off bids from GMS Racing, Obaika managed to acquire one of BK’s haulers and some of its cars. It was also revealed at the ISM Raceway that Front Row and Obaika continued to work together after the assets were distributed. At ISM, Obaika’s primary car was the BK/FRM #23 Maximum Elevation Off-Road Toyota that J.J. Yeley ran to a 36th-place finish at Texas the week before, still with a scratch on the passenger side. This car was itself a re-wrap of the #23 that Gray Gaulding ran for BK in this year’s Coca-Cola 600, the patriotic colors still visible. During our interview with Tanner Berryhill during the ISM weekend, BK’s #23 hauler unloaded its backup, the #23 Steakhouse Elite Toyota that Yeley drove earlier this year, and put it onto Obaika’s #97 hauler, likely a similar swap to make it Obaika’s Homestead car. The ISM Raceway marked Obaika Racing’s third Cup attempt of 2018. The previous two came with XFINITY Series regular David Starr. After ending up the only driver who failed to qualify for the fall race at Talladega, Starr qualified at Texas. This time, he benefitted from the misfortune of Carl Long’s team Motorsports Business Management, which was forced to withdraw their #66 Rewards.com Toyota since they didn’t have a sealed engine on-hand. Starr finished 39th after several trips to the garage area. For the following week, Obaika picked Tanner Berryhill, giving the driver his long-awaited Cup debut. Berryhill on the grid Sunday. Berryhill had been planning his return to NASCAR for nearly two years, and had been working with Obaika for much of that time. It was Berryhill who brought Obaika back to the XFINITY Series at the Roval in September, but ended up missing the cut when his brakes failed in qualifying. One phone call later, Berryhill was offered a ride to drive Yeley’s Texas car for Obaika at the ISM Raceway. Unlike in 2015, when Berryhill had failed to qualify for Premium Motorsports, his was only the 39th entry on the list, meaning he was guaranteed a starting spot. By Berryhill’s estimate, just eight or nine people worked for Obaika Racing, but the team would have their second Cup start. At ISM, the #97 team made quick work rearranging the decals on Berryhill’s car. While the car numbers had already been updated, the Maximum Elevation stickers were still on the hood and quarter-panels, and had to be removed. Excel Therapy, which backed Berryhill’s XFINITY efforts, had rejoined the team and paid the Obaika effort’s tire bills. A small decal for Berryhill Estates was also added on either side. “We’re still getting worked out,” said Berryhill of the team’s plans. “Obviously, I’d love to race Homestead next weekend, the last race of the year. It just kind of depends how the day goes. I think if I do a good job, keep the car in one piece, he’ll be happy. And hopefully I’ll get another call.” Berryhill would get that call the following Wednesday. In practice, Berryhill achieved some moderately impressive results in practice, outpacing both D.J. Kennington’s #7, Timmy Hill’s #66, and Cody Ware’s wrecked #51 in the first practice, then backing that up by qualifying ahead of all three to take 36th on the grid. He was again ahead of Hill in Saturday’s first session, then outpaced Hill and Ware’s backup car in Happy Hour. The Obaika Racing #97 after Berryhill's late crash at ISM. 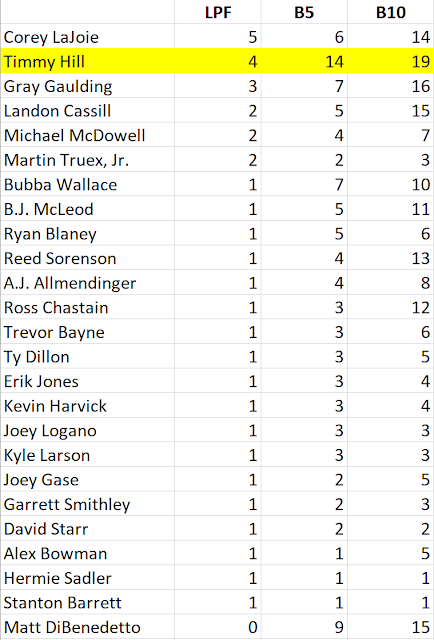 There were originally 31 drivers entered for 32 spots, once again threatening the first short field for the Truck Series since Talladega last fall. But a 32nd entry was found by Wednesday. UPDATE: And now a 33rd entry by Friday, meaning one team will miss the show. Jennifer Jo Cobb brings both her trucks to the Homestead finale, and has brought back Ray Ciccarelli and sponsor CMI Installations to run the #0 Chevrolet. UPDATE: 11 Health will sponsor the truck. We last saw Ciccarelli at Martinsville last month, where he failed to qualify. Joe Nemechek confirmed at the ISM Raceway that his team is still looking for a driver to run for him as son John Hunter continues his rise in the XFINITY Series. The elder Nemechek confirmed his team is capable of fielding two competitive trucks in 2019 and has experienced personnel to develop talent, but needs a commitment from a corporate sponsor to make it happen. Reid Wilson will drive his fourth different truck in as many attempts in 2018. After qualifying in two different Randy Young entries at Martinsville and Iowa, then failing to qualify for All Out Motorsports at Texas earlier this month, Wilson will take Stefan Parsons’ place in Premium Motorsports’ #15 Chevrolet. OEM2 will be the sponsor. As Parsons confirmed last week, this #15 is a collaborative effort between Premium owner Jay Robinson and both Mike Harmon and Mark Beaver, whose #74 and #50 trucks have been absent in recent weeks. Derek Kraus was one of last Friday’s biggest stories when he steered Bill McAnally’s first Truck Series entry since 2001 to an 8th-place finish. The McAnally team isn’t entered this week, and plans for the 2019 season are yet unconfirmed. The On Point team rejoins the Truck Series this week, and Jeb Burton comes back for the first time since his 15th-place finish for them last month in Martinsville. Ultimate Headers will back the #30 Toyota this week. Burton has two Truck Series starts at Homestead with a best of 3rd, but hasn’t run this race since 2014. Robby Lyons seeks his 9th Truck Series start of the season and his first since a 14th last month in Talladega. He takes the place of NASCAR Pinty’s Series driver Jason White, who ran 26th in his bid to gain NASCAR approval to run Daytona next year. Lyons ran 24th in this race last year for Premium Motorsports. Brennan Poole rejoins the Truck Series for his and the NextGen team’s second start of the season. Poole, who finished 15th at Texas two weeks ago, finished 6th in last year’s XFINITY finale at Homestead, his last start in the series to date. Al Niece has just two of his three entries headed to south Florida this week. Left in the shop is the #38, which Landon Huffman steered to a 25th-place finish at the ISM Raceway. Huffman is likewise not entered. CORRECTION - The #38 is again entered, this time with Ross Chastain, who will pull triple duty. Christian Eckes closed out his 2018 campaign with a 9th-place finish at the ISM Raceway. Both he and the #46 KBM entry aren’t on this week’s list. Mark Beaver is back in the Truck Series for the first time since Travis Kvapil's entry was withdrawn at Las Vegas in September, and will run its first race since Mosport. Mike Harmon, who has helped field the #15, will be the driver. SobrietyNation, sponsor of Premium Motorsports' #49, is also the listed sponsor for the #50 Chevrolet. UPDATE: Camden Murphy takes the place of Harmon. Jesse Iwuji gained valuable track time last week at the ISM Raceway for his first oval track start in NASCAR’s top three series, finishing 27th. Both he and Mike Mittler’s #63 Chevrolet are not entered this week. Dawson Cram quietly turned in a career-best 16th-place finish last week at the ISM Raceway, climbing from 29th on the grid. It was only Cram’s third career start. Taking over the controls this week is Todd Peck with longtime sponsor Pulse Transport on the #83. It will be Peck’s fifth Truck Series start of the year and his first since Michigan in August, where he ran 26th for Premium Motorsports. Jesse Little and sponsor Skuttle-Tight rejoin the circuit for the season finale, looking to close out their fourth partial schedule in Truck Series competition. The year has seen Little earn five of his six career top-ten finishes, including a career-best 6th at Iowa. He very nearly improved on that two weeks ago in Texas, where he ran 7th. 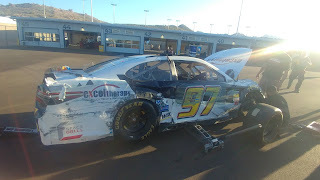 Chase Purdy isn’t entered this week, and neither is Matthew Miller’s #99 Chevrolet, which Purdy steered to a 13th-place finish at the ISM Raceway. Also returning for the first time since Texas is part-timer Cory Roper, who will make his sixth Truck Series start. Roper’s best finish of the year stands a 13th-place run in his series debut at Martinsville this past spring. 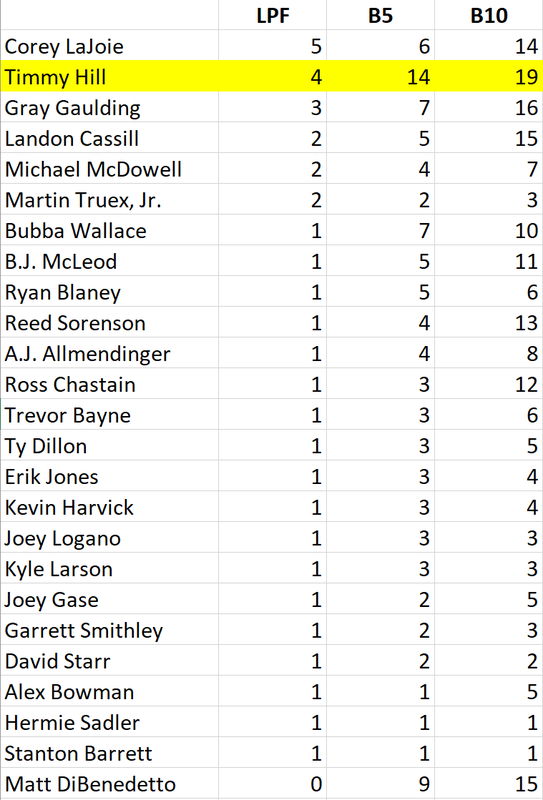 There are 45 drivers entered for this Saturday’s XFINITY Series finale, meaning that five teams will miss the show. Elliott Sadler closes put his final year driving full-time in NASCAR, but this time not as one of the Championship Four. Saturday's race will mark the last time Ross Chastain drive Johnny Davis' #4 Chevrolet, following news last week at the ISM Raceway that Chastain will run Chip Ganassi's #42 Chevrolet full-time in 2019. Chastain drove for Davis the last four straight seasons. Tommy Joe Martins will again run the #8 Chevrolet this Saturday, per his press release late Wednesday. It will be Martins' first series start at Homestead, and he looks to close out his team-best performance in 2018. Timmy Hill is in for brother Tyler Hill in the #13, and is listed as a Toyota instead of Dodge. The Dodge will change numbers to the #40 (see below). Tyler’s 31st-place run at ISM will make him the last XFINITY Series driver to make his debut in a Dodge – for now. Homestead marks the final XFINITY start for Talladega winner Spencer Gallagher, who remarked at ISM that he and the GMS team have big plans for 2019 and beyond. Despite earlier announcing that Kansas would close the team’s 2018 schedule, Max Tullman and his team are back to attempt the season finale at Homestead. Eskata and Zoomi return as sponsors of the #26 Ford. The Sieg family brings their part-time fourth car, the #37, back to the track for only the second time in 2018, the first time since Kansas last month. All three of the team’s drivers will swap rides as a result. Jeff Green moves from the #93 to the #37. J.J. Yeley moves from the #38 to the #93 vacated by Green. Ryan Sieg moves from the #39 to the #38 vacated by Yeley. The game of musical chairs ends with the flagship #39, which Angela Ruch will drive in her third XFINITY start of the season. Green said at ISM he would like to run 10-12 full races in 2019, but needs a sponsor to make it happen. Carl Long was originally listed for Akinori Ogata in the #66, one week after Ogata managed to hang on after a first-lap accident to finish 33rd. However, by Wednesday Long was instead in Chad Finchum's #40 with Finchum sliding over to the #66 Chevrolet. While the #40 was originally listed as a Toyota, it will instead be the team's blue "Zombie" Dodge Challenger that Tyler Hill ran as #13 last week. Due to rule changes, Homestead will be the final race Dodge will be eligible to run. A thank you message to Dodge is on the hood. Owner-driver Jeremy Clements welcomes a new primary sponsor to his #51 team. The list shows Fly and Form as the primary sponsor ahead of longtime backers RepairableVehicles.com. Clements has 10 previous XFINITY starts at Homestead, including every race run here since 2007 with the exception of 2009. His best finish was a 13th in 2014. Roval winner Chase Briscoe returns to the XFINITY Series, taking the place of Ty Majeski, who isn’t entered. Nutri Chomps will back Briscoe’s first series start since Kansas, where he ran the #98 Ford for Stewart-Haas Racing with Biagi DenBeste. Welcome back Kaz Grala and feel-good story Fury Race Cars, neither of which we’ve seen on the circuit since the Roval in September, where they ran 8th. Grala welcomes back returning sponsorship from NETTTS along with associate backing from Hot Scream. It will be Grala’s first XFINITY start at Homestead, a track where he ran 13th for GMS’ Truck Series team last year. Homestead is the site of Tim Veins’ only XFINITY Series start, which came driving for Mike Harmon in 2015, a 33rd-place finish as his result. Veins is again entered in Harmon’s Chevrolet, this time with 811fitness.com as his sponsor along woth RaceDaySponsor.com. the car also has blue door numbers in place of tue typical red. Harmon ran 32nd last week at ISM. Brandon Brown eyes his seventh XFINITY Series start and his first attempt with his family’s #86 team since they withdrew at Road America. This time around, Brown is sponsored by the Coalition to Salute America’s Heroes, which also backed his last two XFINITY starts for DGM Racing at Dover and Texas. Texas saw him match his season-best finish of 18th from Darlington. 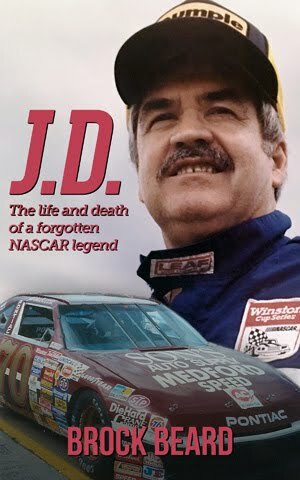 JD Motorsports continues to pitch in for Morgan Shepherd, preparing his #89 VisoneRV Chevrolet for this week at Homestead. Shepherd had also transferred a set of his scuffed tires to JD’s team last week at ISM, the gold rims of the #89 visible on B.J. McLeod’s #01 Chevrolet. Shepherd has three XFINITY starts at Homestead, but none since 2011, where he finished 43rd and last. Qualifying will prove critical this Saturday, and even more so when the field reduces from 40 to 38 cars in 2019. Caesar Bacarella looks for his fifth XFINITY start of 2018 and his first since running 23rd at Indianapolis. Though he has driven for B.J. McLeod Motorsports in each of his six previous starts, this week he joins Mario Gosselin’s team, DGM Racing. Bacarella’s sponsors Alpha Prime and MAXIM follow him over as he takes the place of Canadian Donald Theetge, 25th at ISM. Along with Bacarella, the Gosselin team brings back their second car, the #92 Chevrolet, for the first time since it was withdrawn at Darlington. As it was that week, Josh Williams is the listed driver with Sleep Well and Star Tron as sponsors. The car has just one previous start this year, a 36th-place showing at Iowa when Dexter Bean was driving. There are 39 drivers entered for 40 spots in Sunday’s race. This marks the 20th short field in 36 points races in 2018 and the second in a row. One year ago, Matt Kenseth came to Homestead in a throwback paint scheme for his final start with Joe Gibbs Racing. Though he had no plans to drive in 2018, he now comes back to the same race, and again has no plans to drive in 2019. He arrives fresh off the #6 team’s first top-ten finish of the year, a hard-fought 7th at the ISM Raceway. Jay Robinson has elected not to bring his second car, the #7 Chevrolet, to the track this week, one week after D.J. 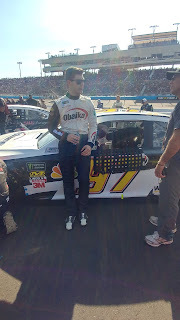 Kennington earned a 27th-place finish in his return to the ISM Raceway. Kennington will not run Sunday’s race either, and will instead continue to run Robinson’s #49 Chevrolet in Friday’s Truck Series race. Daniel Suarez will make his final Cup start for Joe Gibbs this Sunday following official word that Martin Truex, Jr. will take over the ride next season. Suarez' plans for 2019 are still to be determined. Sunday could mark the close of A.J. Allmendinger's Cup career, one which dated back to the founding of the now-shuttered Red Bull Racing in 2007. As of this writing, no plans for next season have been announced. Ryan Preece will drive the #47 in 2019. Sunday marks the final time Jimmie Johnson has Chad Knaus on the pit box, and his final race with Lowe’s as a sponsor. One week after finishing 15th in the 2001 “Power of Pride” paint scheme, Johnson will drive a second “throwback” scheme to his 2002 rookie season. B.J. McLeod was announced Wednesday to step in for Cody Ware in the #51 Jacob Companies Ford. Ware finished 28th last Sunday at ISM in Premium Motorsports’ backup #7 car – Reed Sorenson’s ride from Texas – which may account for why the #7 is not entered this week. On Monday came the official word from TriStar that last week’s race at the ISM Raceway was Cole Whitt’s 161st and final Cup start. Whitt entered the 2018 season on a scaled-back schedule as he shared his ride with Corey LaJoie, and closes out his career with just three last-place finishes – one each in 2014, 2015, and 2016. LaJoie takes over the controls with Schluter Systems as sponsor. He enters the season finale with a one-finish lead in the LASTCAR Cup Series Championship, and will take the title if runner-up Timmy Hill doesn’t finish last in MBM’s #66. One of the Championship Four, Martin Truex, Jr. looks to close out Furniture Row Racing's final race with their second-straight championship. When asked at ISM about what scheme the team will run on Sunday, Truex confirmed it would be something different, but not the brown-and-black 2005 scheme from the team's debut in XFINITY and Cup. Tanner Berryhill was announced Wednesday that he will once again drive the #97. Berryhill finished 31st in his Cup Series debut at ISM following a spin and a late part failure that sent his #97 Toyota into the wall late in the race. 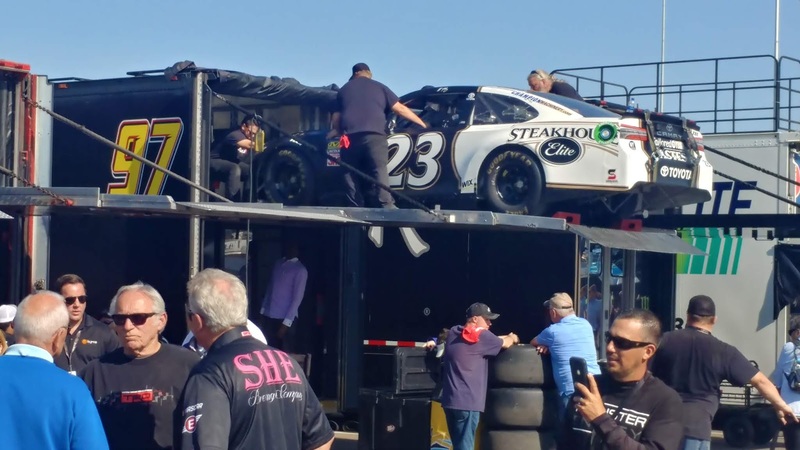 The car run this week will likely be J.J. Yeley’s #23 Steakhouse Elite Toyota, Yeley’s backup car at ISM which was transferred from BK Racing’s hauler to Obaika’s during the ISM race weekend. StarCom Racing will close out their 2018 campaign with both its cars on the track. Returning is the #99 Chevrolet driven by Kyle Weatherman, who spotted for Landon Cassill last Sunday. 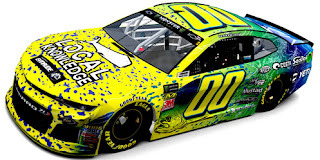 Both Weatherman and Cassill’s cars will carry vibrant neon-hued paint schemes for the season finale. Weatherman’s sponsor will be International Marine and Native Boatworks while Cassill’s is Local Knowledge TV. Cassill's scheme, designed by Ryan Daley, includes associate backing from Evnirude Outboards, longtime backers of the Mueller Brothers #89 team and the late Jim Sauter. The sponsor was last a primary for Sauter and Mueller on August 15, 1993 at Michigan. This past Monday, we lost "The Silver Fox," David Pearson. The pride of Spartanburg, South Carolina, Pearson scored 105 Cup Series victories, second only to his friendly rival Richard Petty. In 574 career Cup starts, Pearson finished last just seven times. The first, chronicled here two years ago, was a crash at Bristol on July 25, 1965. His final occurred at historic Darlington, a track where he'd won 10 times. During the Southern 500 on September 1, 1985, Pearson started outside-pole alongside Bill Elliott, who would go on to claim NASCAR's first "Winston Million" that afternoon. Early engine trouble stopped his #21 Chattanooga Chew Ford after 17 laps. Pearson was 83. After last Friday’s Lucas Oil 150 at the ISM Raceway, I caught up with a number of drivers for the smaller teams in the Camping World Truck Series. In these closing days of the season, a number of them were working on taking the next step in their careers. Jesse Iwuji, swapped into Mike Mittler’s #63 Chevrolet at the last minute, completed his second series start and his first on an oval. To prepare, the military veteran and K&N Pro Series West competitor made use of his simulator between one and two hours a day. 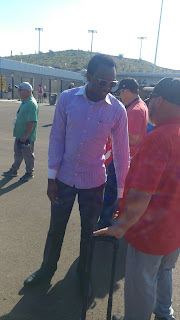 Iwuji ran 27th, just two spots shy of his series debut at Mosport. Stefan Parsons, whose #15 was prepared by Mike Harmon, Beaver Motorsports, and Premium Motorsports, earned his approval to run mile-and-a-half tracks. Parsons’ father, racer-turned-broadcaster Phil Parsons, was there to congratulate his son on a good 20th-place run despite running an underpowered Chevy SB2 engine, 30-lap scuffed tires, and fighting a tight condition. Canadian driver Jason White, who piloted the Reaume Brothers’ #33, ran the ISM event with the goal of obtaining approval to run Daytona next year, whether in ARCA or the Truck Series. His venture south of the border was helped by Rob Zimmer of the Zimmer Group, who has backed his effort for more than a decade, and DJK Racing, his team in the Pinty’s Series. YourGMCTruckStore.com, Powder Ventures Excavating, and Gnarly Jerky also had logos on his red truck, which ran 26th. Not far from White’s stall was the hauler belonging to owner-driver Jordan Anderson. Just last year, Anderson was "start-and-parking" RSS Racing's #93 Chevrolet in the XFINITY Series, nearly claiming the LASTCAR title for the division. He's now just days away from completing his first full season as both owner and driver in the Truck Series. I caught up with Anderson as he attempted to fix the sliding door on the back of his trailer. Anderson also reflected on the progress his team has made in its first year. “I’m a racer, don’t come from a family that’s in racing. My first year as an owner, I’ve made my fair share of mistakes to learn from, and hopefully we can keep everything together. Cool thing with our team – everybody’s gonna work through the winter. You know, most small teams everybody gets laid off in the winter, but not us, everybody’s gonna keep working over the winter. Hopefully we’ll use the next two, three months to get better and improve our trucks. We got a good group of guys and we win together and we lose together. So we’re gonna make the most of it and hopefully next year will be better. Already loaded on the upper deck of his hauler was the black “No. 007” chassis that Anderson debuted last week in Texas. Anderson also discussed the addition of Commercial Property Services as a sponsor for his #3 Chevrolet. Timmy Hill picked up the 9th last-place finish of his Monster Energy NASCAR Cup Series career in Sunday’s Can-Am 500 at the ISM Raceway when his #66 Rewards.com Toyota fell out with an oil leak after 40 of 312 laps. The finish, which came in Hill’s 83rd series start, was his fourth of the 2018 season and his first since Kansas, three races ago. In the Cup Series last-place rankings, it was the 55th for car #66, the 31st from an oil leak, and the 154th for Toyota. Across NASCAR’s top three series, it was the 65th for car #66, the 47th from an oil leak, and the 307th for Toyota. In the aftermath of the engine fire at Martinsville and the engine-related withdrawal at Texas, there were doubts that Timmy Hill would run on Sunday at all. Though the #66 appeared on the preliminary list, the car was briefly listed as withdrawn on racing-reference.info. 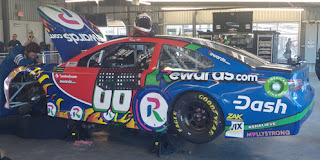 It was ultimately a sponsor obligation to Rewards.com that forced their hand, and Carl Long confirmed on Facebook the car would be at the track. Long’s team, Motorsports Business Management, brought two Cup cars to the track. The primary was the same chassis the team fielded in Indianapolis, where Hill ran 35th. The second, swapped on Saturday into MBM’s XFINITY hauler, was prepped for Homestead next week. The Homestead car differed from the ISM car as it had a white Toyota decal on the rear bumper. One of MBM’s three XFINITY cars was driven by Tyler Hill, Timmy’s younger brother, who made his series debut in the #13 CrashClaimsR.us Dodge. In that race, Tyler recovered from an early spin to bring the Dodge home in one piece in the 31st spot. To work around the sealed engine issue from Texas, Timmy Hill’s Cup car was entered under the “No. 166” owner points of Mark Thompson, who acquired his own NASCAR owner license to run this year’s Daytona 500. Unlike MBM’s “No. 66” owner’s ranking, Thompson’s still had races eligible to seal an engine for Homestead. This put Hill in contention to challenge Corey LaJoie, who was swapped out for Cole Whitt at TriStar, for the 2018 LASTCAR Cup Series Championship. Hill began the weekend 38th of 39 entered drivers in Friday’s opening practice and secured the 37th starting spot in qualifying with a lap of 131.114mph (27.457 seconds). Hill was slowest of the 38 drivers who turned laps in Saturday’s first session, then ran 38th of 39 again in Happy Hour. Cody Ware confirmed the team didn’t have a backup car in their hauler, meaning they would likely have to withdraw. However, by 3:30 P.M., a deal was worked out. After at least one crewman came by the Premium Motorsports hauler, the team was soon preparing Premium’s backup, putting car #51 on the doors. The car, the #7 Sustainable Quarry Chevrolet that Reed Sorenson piloted last week in Texas, now had the #15 decals from Ross Chastain’s Cup car put in the reverse order, fashioned into a #51 over each #7. However, with only minutes left until qualifying, the car never hit the track to make a lap, and took the 39th spot as a result. On Saturday after the XFINITY Series race, the Ware crew further adjusted the paint scheme, but NASCAR told them to stop applying the roof decals when they worked fifteen minutes after the garage area closed. This work was finally done race morning, at which point the crew polished the car. Also involved in a practice accident was Paul Menard, who blew a left-rear tire entering the same corner and backed hard into the outside wall. Menard was uninjured, and the Wood Brothers Racing team had already unloaded and begun preparing the backup before the flatbed arrived with the primary. Only Menard and Ware incurred pre-race penalties. While Ware’s penalty didn’t alter his starting spot, Menard had to surrender the 11th spot. On the break, Ware remained in the 39th spot, and Paul Menard’s early moves dropped D.J. Kennington – driving the primary #7 Chevrolet from Premium Motorsports – to the 38th spot. Ware caught Kennington’s APC / Northern Provincial Pipelines machine, but the #7 pulled away and soon after passed Tanner Berryhill, who was making his Cup Series debut in Obaika Racing’s #97 Excel Therapy / Maxium Off-Road Toyota. Ware had more success catching Berryhill, running alongside him on Lap 8, then completing the pass at the stripe on Lap 11. On Lap 14, race leader Kevin Harvick put Berryhill a lap down, and the newcomer worked his plan to try and stay out of the leader’s way, losing a second lap on the 31st circuit. Hill entered the last-place picture when he pulled into the garage area around Lap 42. The driver confirmed the #66 had an oil leak, and the team had difficulty figuring out where it was coming from. In their garage stall near the end of Garage Building #5, the team jacked up the driver’s side, then did the same with the passenger side and put the car on jack stands. On Lap 94, he was joined in Garage #4 by J.J. Yeley in the #23 She Beverage Company Toyota, a coordinated effort between the NY Racing Team and Front Row Motorsports. Yeley’s car also had a leak, originally called a mechanical issue by NASCAR officials. The driver thought the smoke he smelled was from Menard’s backup car, but it turned out his own engine was on the brink. Yeley climbed from his car, and shortly thereafter the team brought out the cargo straps to load it in the hauler. 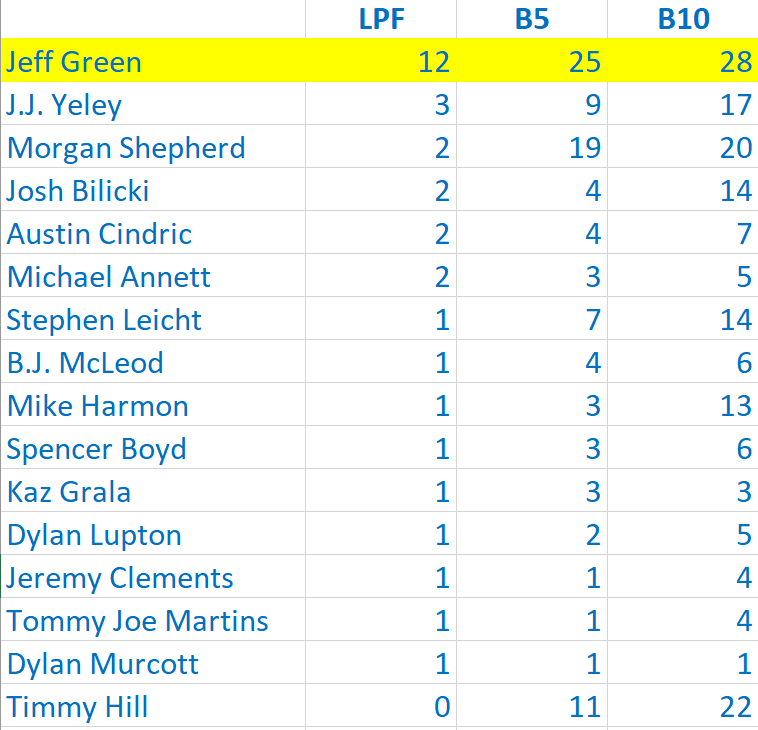 With a 48-lap margin between Hill and Yeley’s machines, Hill had until Lap 263 – 49 laps to go - to get back on track if he was to pass Yeley for 38th. But by Lap 204, the #66 was listed as “unavailable” on RaceView, and shortly after was listed as “out” on the official timing and scoring. At that point, the MBM team was still working on the car, and had removed the shifter and gearbox from under the machine. The team prepared to load up the #66 after that, done for the day. Long elected on Saturday to move Hill’s Cup car for Homestead to their XFINITY hauler, so Hill’s car from Sunday’s race would join Akinori Ogata’s XFINITY #66 that ran 33rd on Saturday. During this time, the action picked up on the track with several top teams suffering tire-related accidents. Just as Yeley pulled into the garage, a blown left-rear sent Joey Logano’s #22 Shell / Pennzoil Ford into a spin entering Turn 1, ending his day after 95 laps. Daniel Suarez fell out just one lap later after his #19 Stanley Tools Toyota rear-ended eventual 7th-place finisher Matt Kenseth, destroying the nose of the #19. It was some time before Logano’s car finally made it back to the garage on a flatbed, but when it did, Clint Bowyer suddenly rolled into the garage, the rear decklid trailing behind his #14 ITsavvy Ford following still another wreck on Lap 134. With Hill’s fourth last-place finish, he remains the only challenger still in contention to take the 2018 LASTCAR Cup Series Championship. The scenario is simple – Hill must finish last to take the title. Otherwise, Corey LaJoie will claim it, even if he isn’t entered in the race. *This marked the first last-place finish for car #66 in a Cup race at Phoenix since April 10, 2010, when Michael McDowell’s #66 PRISM Motorsports Toyota fell out with overheating problems after 149 laps of the Subway Fresh Fit 600. McDowell, now driving for Front Row Motorsports, led four laps that day, making him one of only three Cup Series last-placers at Phoenix to lead laps. *This was the first Cup Series last-place finish caused by an oil leak since March 29, 2015, when A.J. Allmendinger fell out after 117 laps at Martinsville. The issue had never been the listed cause of a Cup Series last-place finish at Phoenix. Jeff Green's car in the garage with shop after he exited the race. Jeff Green picked up the 114th last-place finish of his NASCAR XFINITY Series career in Saturday’s Whelen Trusted to Perform 200 at the ISM Raceway when his #93 RSS Racing Chevrolet fell out with brake issues after he completed 18 of 200 laps. The finish, which came in Green’s 512th series start, was his series-leading twelfth of 2018 and his first since Indianapolis, seven races ago, the same race where he clinched the 2018 LASTCAR XFINITY Series title. In the XFINITY Series last-place rankings, it was the 41st for car #93, the 56th from brake trouble, and the 518th for Chevrolet. Across NASCAR’s top three series, it was the 91st for the #93, the 159th from brake issues, and the 1,637th for Chevrolet. Green, who has run no better than 34th since his most recent LASTCAR feature, rejoined teammates Ryan Sieg and J.J. Yeley for the weekend at the ISM Raceway. When interviewed on Friday morning, Green indicated that he will be back driving the #93 Chevrolet for RSS Racing in 2019. He will continue to run as a “start-and-park” with the exception of the restrictor-plate races unless a sponsor can be found. Green indicated that he runs the same equipment as his teammates and can run full races for less than other teams. Green’s goal is to run between ten and twelve full races if a sponsor is found. A crowdfunded effort was also suggested to meet that goal. In practice, Green once again impressed in his #93. Despite running just three laps in the first session, he ranked 17th-fastest overall, outpacing both his teammates. After skipping Happy Hour, he came just short – just under nine-hundredths of 24th-place Joey Gase – of making Round 2 in qualifying. Instead, he settled for the 25th starting spot with a lap of 127.537mph (28.227 seconds). The back of the garage area was a busy place Friday morning. At the far end of the XFINITY garage, no fewer than seven lower-funded cars were sitting out in the open, many with their crews applying decals. Mike Harmon’s crew applied logos for Veterans 4 Child Rescue on the quarter-panels. To Harmon’s left at the JP Motorsports hauler, Bayley Currey’s car still had the yellow #45 numbers on his Toyota, and the team had to hurry cover those numerals each with a white #55. The same white font was on Josh Bilicki’s #45, which on Friday morning was still a flat black backup car. Bilicki himself was helping the crew apply the several decals by hand, and the crew threw together a setup virtually from scratch. Ultimately, Bilicki couldn’t make it out onto the track for qualifying, and secured the 40th and final starting spot. Just ahead of him were two drivers who didn’t make it out in Round 1 because their cars failed inspection three times: Playoff contender (and eventual race winner) Christopher Bell in the #20 GameStop Just Cause 4 Toyota and Ty Majeski in the #60 Ford. Redundant tail-end penalties for all three kept the final three positions in the same order for the start. The green flag that flew on Saturday was Akinori Ogata’s first in the XFINITY Series. The Japanese driver was brought on to drive Carl Long’s #66 SEAVAC – USA, LLC Toyota, a car that bore a striking resemblance to PRISM Motorsports’ Cup cars in 2009 and 2010. Ogata, whose name on the windscreen appeared cut from rectangular decals one character at a time, had seven previous Truck starts, including a pair at Phoenix. But the transition from trucks to cars wasn’t a smooth one. Heading into Turn 1, Ogata found his car to be too loose, and he spun backwards into the outside wall. Under the first caution of the day, Ogata pulled into his pit stall, where the crew made quick work on the left-rear corner of the machine that was bent out of place. Also making a trip to pit road was 24th-place starter David Starr, who was black-flagged for jumping the start on the ISM Raceway’s new reversed configuration. Starr’s #52 Whataburger Chevrolet served its penalty on Lap 4, and Ogata rejoined the action laps down with several strips of black tape holding the wounded left-corner of the car together. Ogata cleared the Crash Clock, averting a last-place finish. He’d eventually climb to 33rd, utterly exhausted from the handling of his wounded machine. On the ensuing restart and 42-lap green-flag run, the first three spots in the Bottom Five filled up. Jeff Green pulled the #93 behind the wall first, his car parked directly alongside the XFINITY Series garage building. Next came Morgan Shepherd, who after his Texas wreck was further helped by JD Motorsports, who prepared his #89 Visone RV Chevrolet in their shop. Shepherd faced one more hurdle in Phoenix when his hauler broke down within a half-hour’s drive of the track. 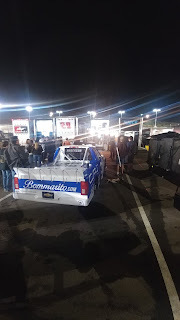 The truck made it to the track, and Shepherd qualified and started the race, only to pull off the track and park his machine behind the hauler after 22 laps. Finishing 38th was Stephen Leicht, who by Lap 89 had his #99 Chevrolet parked in the final pit stall in the XFINITY garage. A single crewman from SS-Green Light Racing was working on the machine, which was soon after put on jack stands. The team later put on the chrome rims used as shop wheels for this third entry from B.J. McLeod Motorsports. The 37th spot fell to Chad Finchum, who after struggling with the handling on his #40 Smithbilt Homes Toyota spun the right-rear wheel on a late restart and started leaking axle grease, forcing him behind the wall on Lap 151. 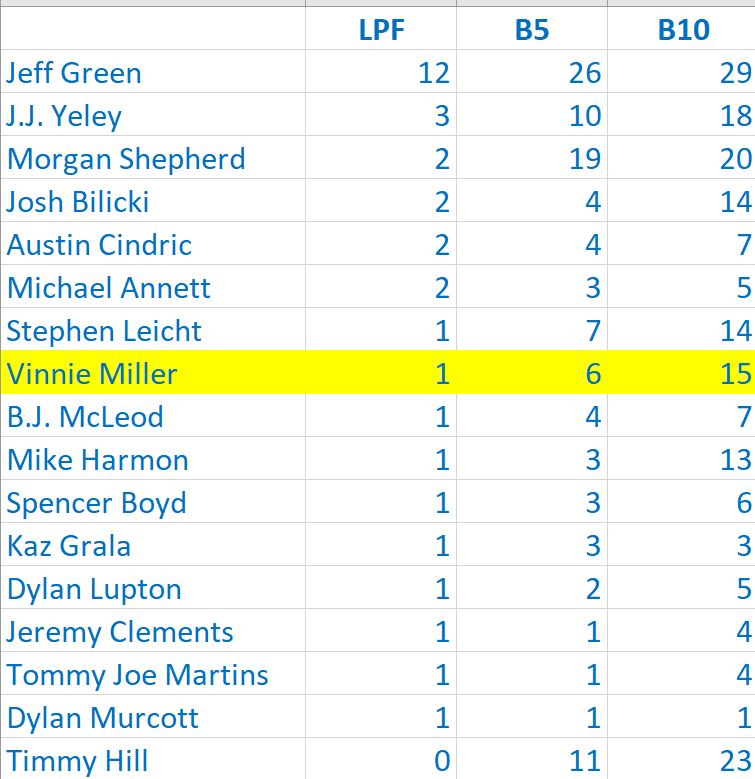 Rounding out the group was Vinnie Miller, whose run in B.J. McLeod’s #78 CorvetteParts.net / JW Transport Chevrolet was hampered by a persistent ignition problem. Miller pulled in on Laps 113 and 165 before he was done for the day in the final laps, joined shortly after by Tommy Joe Martins with a blown engine on the final McLeod car still running. Martins ended up just outside the Bottom Five in 35th. With one race to go, Green is now one finish away from matching the exact number of last-place runs he earned in 2017. *This marks the second time in his career that Green has swept both last-place finishes at Phoenix. The other time occurred in 2015.